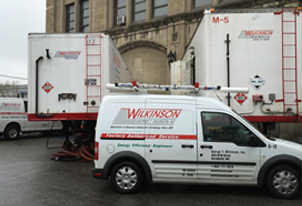 The Wilkinson Companies has the largest fleet of Mobile Boilers in New England. Whether you need a mobile boiler for a few days, months or more, Wilkinson Mobile Boilers, Inc. will provide emergency steam and/or hot water as quickly as possible. Regardless of building size or steam/hot water pressure, we will ensure minimal downtime for your facility. We look forward to helping you with all your boiler room needs. A protected work area — Equipment and operators are fully protected from the elements. 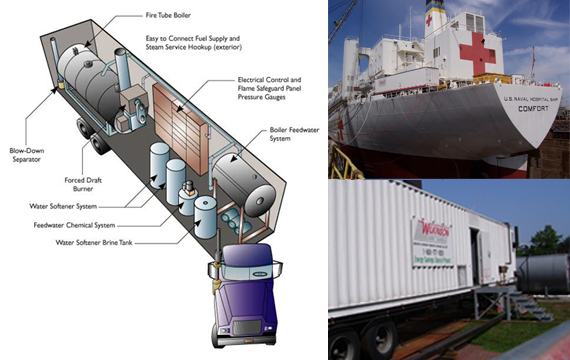 Wilkinson Mobile Boilers, Inc. provides a wide range of state-of-the-art, totally self-contained high- and low-pressure steam boilers — from 50 HP to 800 HP firetube boilers and from 25,000 PPH to 120,000 PPH water tube boilers. 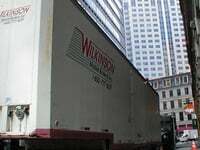 Wilkinson also has a fleet of domestic hot water trailers. These trailers utilize the high efficiency Autoflame Combustion Management System that will ensure customer fuel savings as well as minimal carbon emissions. Each unit meets or exceeds all local and federal environmental control and safety requirements.